Water bottles have stepped up their game over the past few years. If you’re on the go, you no longer have to drop a couple bucks on glorified tap water from a bottle that’s going to take a few million years to decompose. The kind of products on the market now aren’t just great for the environment, they promise your water will taste great, they’ll save you money in the long run, keep you hydrated and they look amazing as well. These are the best of the best water bottles when it comes to stainless steel, glass and BPA-free plastics that will keep you going regardless of where your adventures take you. You might decide that you simply want to drink more water while you’re at work but you always forget to make a trip to the pantry. These water bottles will keep you hydrated at your desk and will stand out so you always remember to drink water. They feature handles, hooks and loops so you can stuff them in the side pouch of a backpack or hook around your purse. They have double insulation to make water taste like it came from the fridge for up to 24 hours after you pour it in the bottle. They are easy to clean, have beautiful and cool designs, and coating that makes them simple to grip if you’re on the move. One of the best starting points for picking the right water bottle is the activities you do most. The best bottle for hiking might not look the best on your desk if you want one in the office. Another consideration is the material. You can go with a BPA-free plastic, which is usually lighter but can start to smell very funky if it’s not cleaned soon enough. Most high-end water bottles are constructed from stainless steel. Tough, lightweight and stylish, these are usually the strongest material but some people prefer the taste of water in a glass bottle that needs to be protected in a sleeve. These water bottles are designed to guarantee that you’ll never go back to the corner store to waste another couple bucks on a disposable water bottle again. They ensure the quality of the water will taste its freshest. They are BPA-free, as opposed to the cheap plastics that would then infect your water. They come in every kind of size and feature, from those that pop out a straw upon opening through collapsible bottles that you can keep folded in your pocket. It’s just a matter of finding the right bottle for your favorite activity. If you’re looking for the best, all-around portable water bottle on the market, it’s tough to beat the Hydro Flask’s 40 oz. That’s because it’s the kind of bottle you can bring on a long hike just as effectively as a day at the beach or sitting at your desk at the office. Featuring two walls of insulation and a stylish look, the Hydro Flask will keep your beverages cold for up to 24 hours and hot for up to six. The 40 oz. size is larger than a liter, and so holds plenty of water for a medium-sized hike. It also has a scratch-resistant design and a slip-free coat finish in a wide variety of colors. 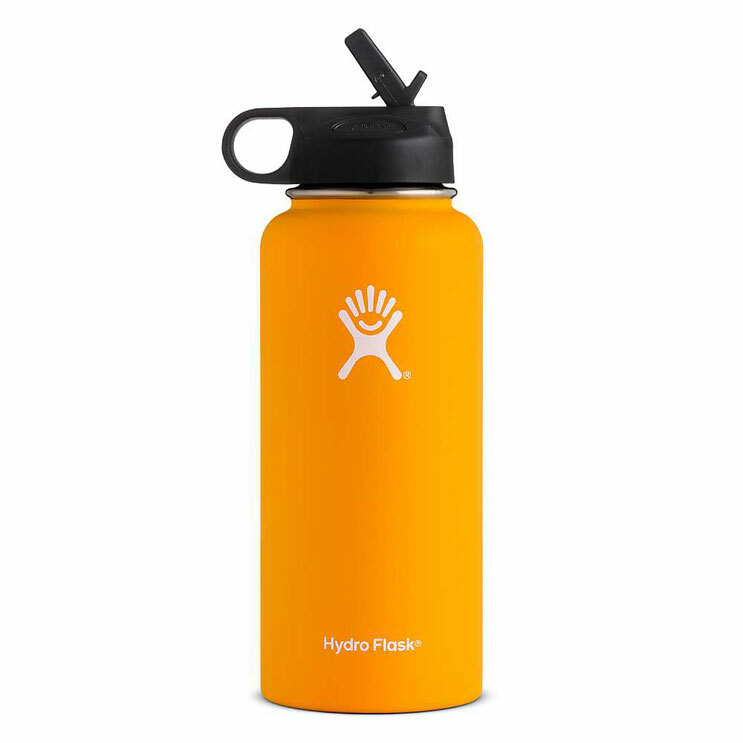 One of the things that separates Hydro Flask from the rest is the simple handle that runs over the lid. You can customize between the wide-mouth and straw-lid, depending on your preference. This bottle will fit into the side pouches of almost any day pack or backpack. 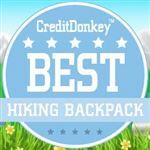 It’s perfect for hiking if you either don’t need or don’t want a full hydration pack. Or if you’re doing a long trail and want an additional bottle on hand. 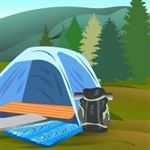 It is constructed from stainless steel and fits with most water filters for backcountry hiking. Beautifully crafted from non-toxic 18/8 stainless steel, these bottles are excellent for a professional office but also have the fun, sleek and stylish design for a day at the beach, park, picnic or trail. They have a gorgeous look to them, but also stand with the best when it comes to all the features as well. Their bottles are offered in three sizes, 9 oz., 17 oz. and 25 oz., which means you can easily bring a half-liter or more with you everywhere you go. They keep water ice cold for up to 24 hours and hot beverages toasty up to half that time as well. The thin structure fits easily into the cup holders in a car or bike and slips nicely into the side pouch of any backpack for a day trip. There are dozens of different sizes and designs in collections that range from wood to stone to satin. The company donates a portion of their profits to UNICEF in the name of providing drinking water to kids. The bottle will definitely keep you hydrated at the office and everywhere else you go since you won’t want to leave it at home. 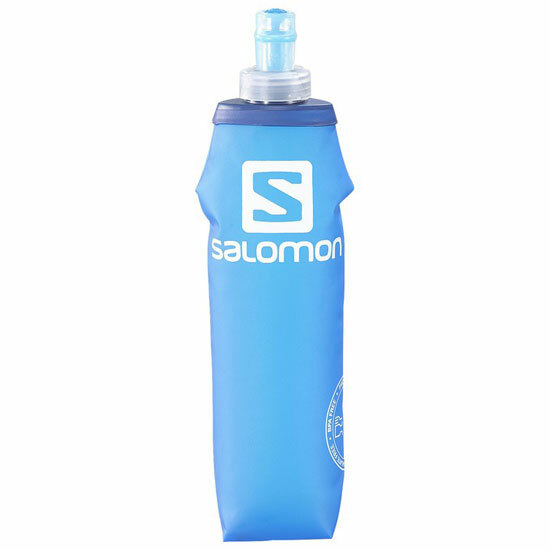 Salomon Soft Flask 500 ML/16 Oz. This bottle is praised by runners for how it compresses as you drink in order to reduce any bouncing and sloshing that happens while you run. Salomon produces a full line of running products, including hydration packs, tubes and sleeves, and this is a perfect complement if you need a water bottle for a jog. The compression design stuffs easily into any running belt or hydration pack. It also has a specially-designed bite nozzle that prevents any leaking while you run until you compress your teeth into the valve. And it also reduces the amount of sucking you need, which is valuable if you’re short on breath from a run. The material is soft-to-touch polyurethane. It is BPA-free and holds around a half-liter of water for any kind of exercise. It is easy to fill and clean and is a lightweight addition so that you stay hydrated while you’re on the move. This classic, stainless steel design holds 800 mL of water and fits into almost any water bottle holder for whatever biking you plan on doing. This is perfect for those of us who prefer to commute on two wheels, because it’s great for staying hydrated on the path and then seamlessly transitions to an excellent water bottle at the office. Its tough and durable design will withstand almost any drop along the ride. Its clean and stylish look means you can take it anywhere, and it is compatible with a separate sport lid for when you’re on a weekend ride across some mountains or need to cart it around at the gym. 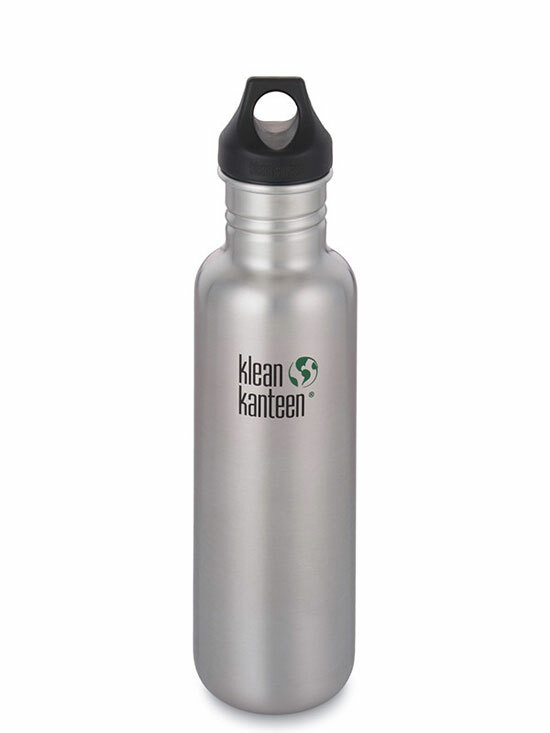 Klean Kanteen’s bottle weighs just over seven ounces, and its electropolished interior means you won’t taste any steel or metallic flavors as it keeps your water cold. The silicone spout offers a 25% higher flow rate and the loop top can be hooked around any bag, backpack or purse, no matter where you ride. This bottle has a lot of great features, but what sets it apart is that it easily folds and rolls into a fraction of its size. When other water bottles are empty, you’re still stuck lugging them around along with all the space they require. Platypus bottles can be folded and stuffed when you don’t need them, used when you do, and then thrown in a pocket or backpack when it’s empty. 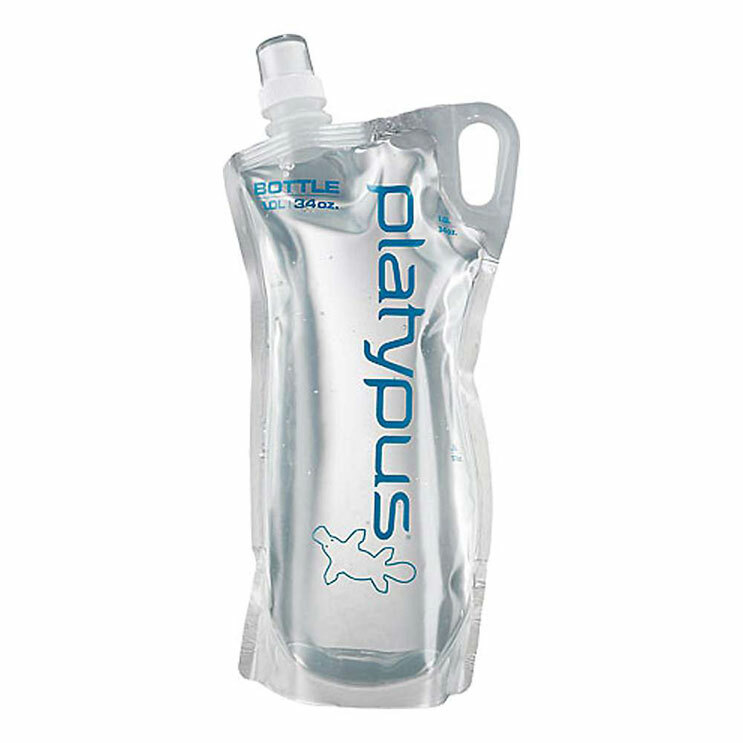 The PlusBottle is Platypus’ best portable water bottle yet. 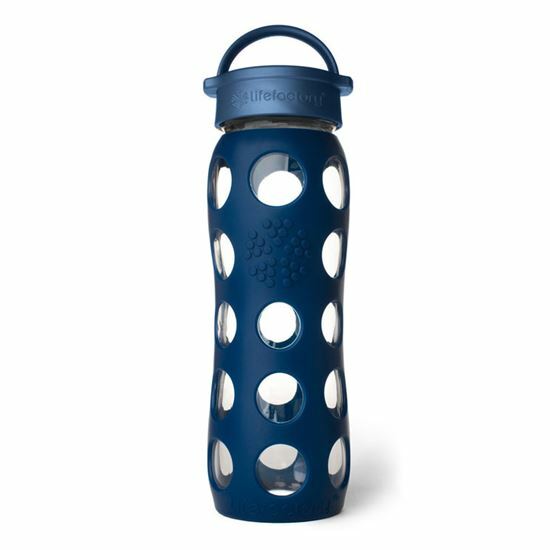 It holds a full liter of water, has a sport cap that can also be unscrewed like a regular bottle, and also has a handy hook for storage. This keeps it in place with backpacks and also provides an easier way to transport if you’re holding it during a walk. The unique design isn’t loved by all and does have a couple downsides. Collapsible water bottles can be tougher to clean. The unique shape doesn’t fit as snugly into every backpack side pouch, so it’s worth seeing if it’ll fit within your particular bag’s holster. 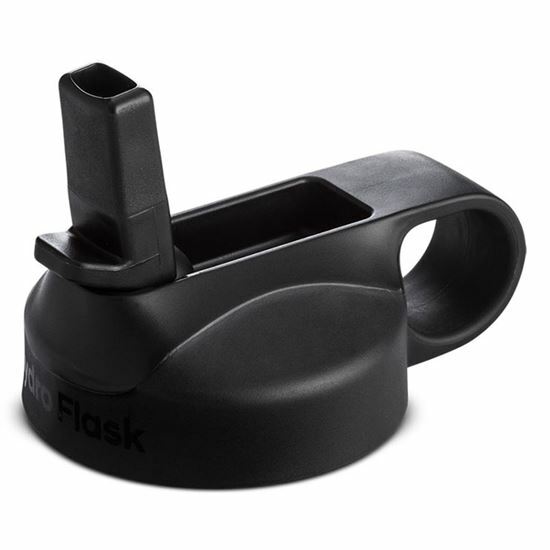 However, the collapsible feature more than makes up for the downsides, making this a great bottle if you’re constantly on the move and want to stuff away an empty, reusable container. Fitting over the 12 oz., 16 oz., 18 oz., 32 oz., 40 oz., or 64 oz. water bottles, Hydro Flask’s straw lid is the perfect accessory if you hate downing a drink of water and finding most of the sip all over your shirt. For just a few extra bucks, you can attach this lid onto any of the excellent water bottles they produce so that you have a straw ready to go. This is the perfect addition if you love taking your water bottle with you to the beach, park or poolside and want to sip on your beverage while enjoying a book. That way you don’t have to focus all your energy on drinking every time you get thirsty. It’s a few extra dollars that go a long way. The preference of a glass water bottle over stainless steel usually has to do with taste. The biggest fans of glass bottles argue that water tastes cleaner and purer than when it’s in steel or plastic, and sometimes they have a case. 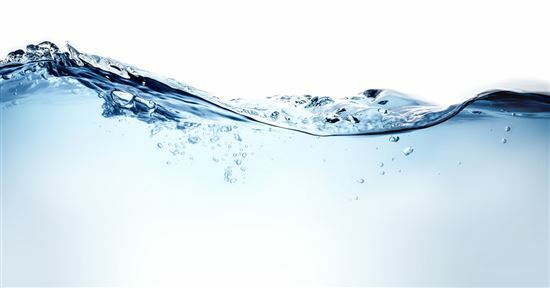 Some steel bottles leave water with a metallic taste, which brings us to the Lifefactory 22 oz. bottle. This offering protects against the fragility of glass by coming with a sleeve for protection. The water tastes excellent, although the wide mouth can make it a little trickier for drinking on the go. 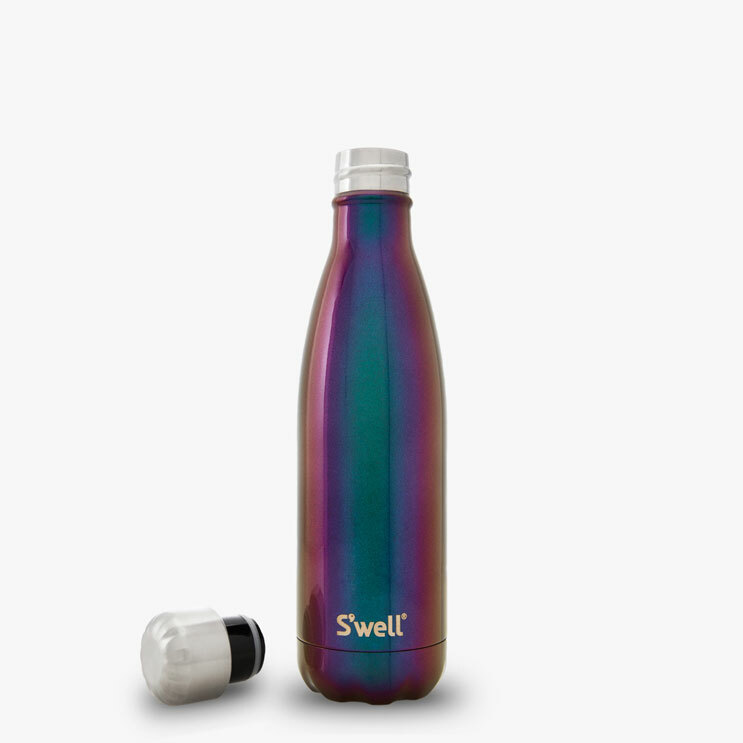 With its leakproof cap and variety of colors, the bottle can fit into almost any cup holder, and it also has a handy loop for walks or snapping onto a backpack or purse. If you want to have a water bottle that filters like a Brita everywhere you go, CamelBak has retained all their best features on their reusable, BPA-free water bottle with a small filter inside the container. This spill-proof bottle features a small hook and easy carrying design so that you can take it anywhere you go. While you might not want this for backcountry adventures if you need to clean water from a running stream, it’s definitely the water bottle for you if you love the clean-tasting water from a filter at home. It’s perfect, for example, if you’re out at a theme park all day and want to filter the water from water fountains. The bite valve is constructed from medical-grade silicone and the carbon filter is good for 60 gallons of use, which usually lasts around four months. Asobu’s stylish, BPA-free water bottles feature a built-in infuser that allow you to flavor your water. 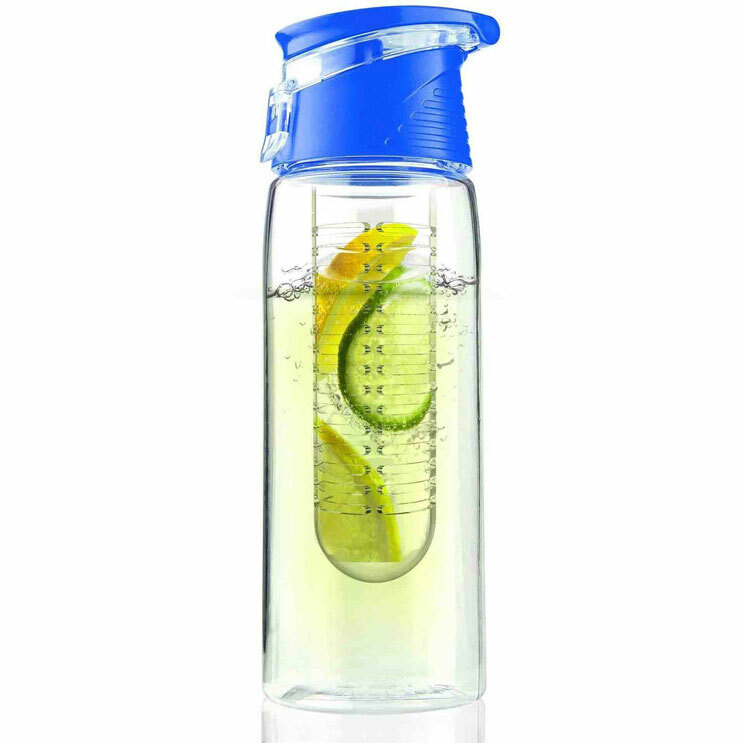 It combines some of the best portability of fitness water bottles while featuring a simple and easy-to-use infuser that rests within your beverage. One of the best features of the Flavour 2 Go is that it is dishwasher-safe, which you don’t always find with a lot of high-end water bottles. This makes life much simpler if you prefer your water with a lemon, cucumber, mint or orange twist and just want to pop it in the dishwasher when you’re done. It comes in at a very affordable price as well. This .4L water bottle comes in 15 different fun and colorful designs and is a favorite amongst kids. 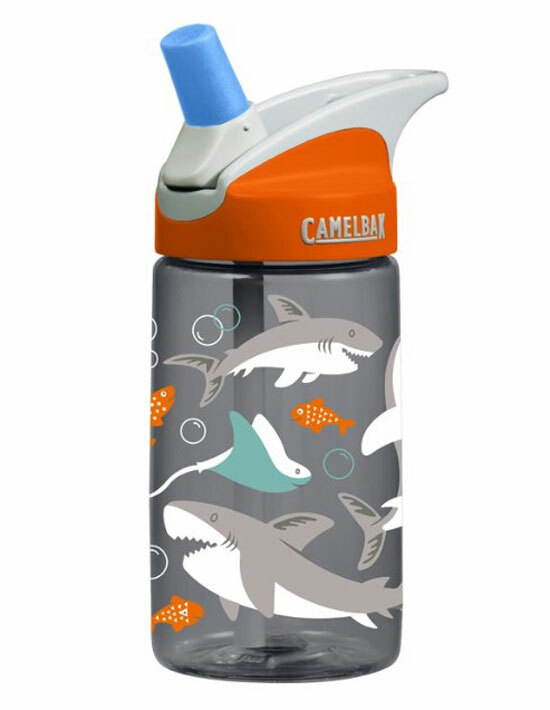 It features all the best parts of CamelBak’s water bottles—just in a smaller size so that children stay hydrated on their adventures. 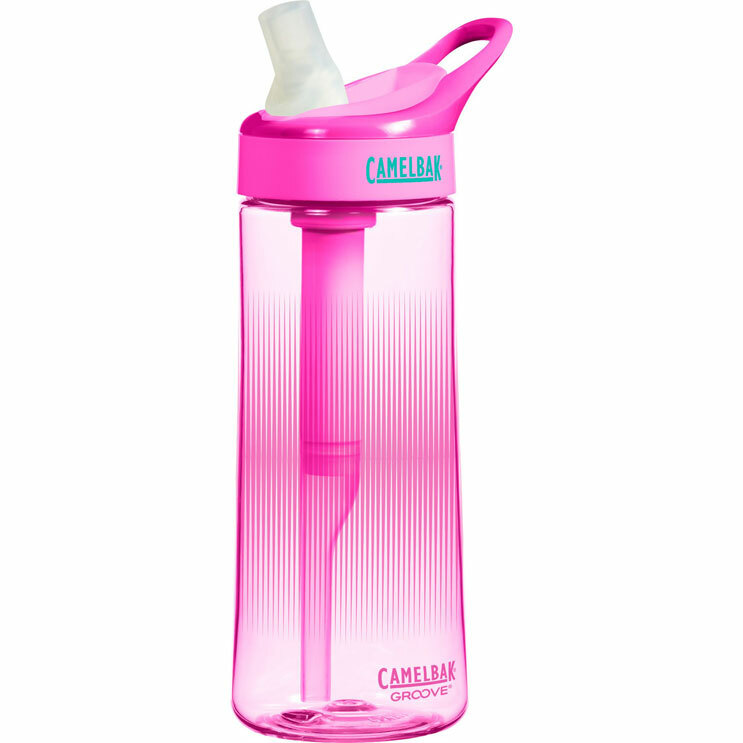 The CamelBak bite valve is a simple piece that allows for easy water flow and can be detached for cleaning. All the parts are dishwasher-safe, which parents will definitely appreciate. And the Tritan material is BPA- and BPS-free, retaining the best taste of cold, crisp, filtered water for thirsty kids who want a fun design. One of the best names in insulated containers for hot beverages makes this excellent stainless steel water bottle for keeping beverages piping hot. This can mean anything from coffee or tea all the way to a soup that you want to keep toasty until later that night. 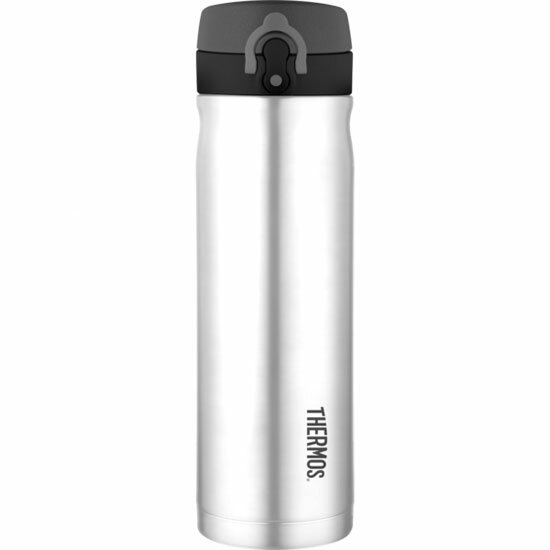 The Thermos Commuter will keep your beverages hot all the way up to 12 hours, which puts the competition to shame. The features don’t just stop at how long it will keep drinks hot. It also offers a straw that pops out when you open the lid for easy sipping. And it will keep cold beverages tasting like they just came out of the fridge for up to 24 hours. No matter how hot the drink is inside, it keeps the bottle cool to the touch and the sleek design will fit within almost any cup holder. Leave a comment about Drink Up: The Best Water Bottles for Every Activity? 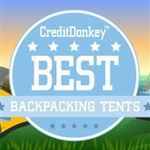 Share on Facebook "Drink Up: The Best Water Bottles for Every Activity"